Checklists – What do you do? Throughout Rebreather Forum 3.0, experts in manufacture, human interface design, accident analysis, rebreather training and diving all talked about the benefit to rebreather divers of using checklists to ensure that units are properly assembled and all pre dive checks completed. In the final consensus statements, using a checklist was top of the list of recommendations! 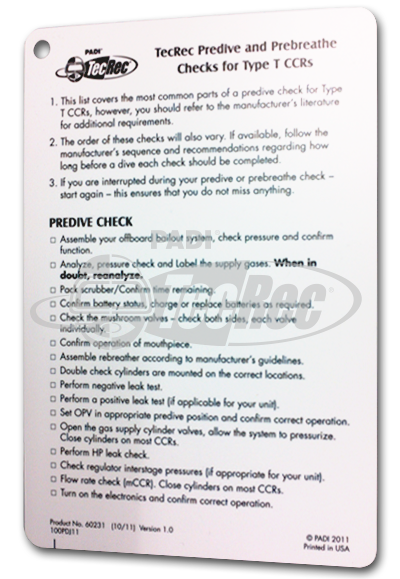 Most manufacturers produce checklists that you can print and laminate or reference on your smart phone/tablet, are attached to the unit or integrated into the electronics. PADI produce waterproof slates that can be used with your rebreather electronics and other training organisations have similar tools. Checklists have been an integral part of PADI Rebreather and Tec CCR courses since their launch in 2011. PADI checklists are generic. They should be supplemented by a unit specific manufacturer’s checklist where available. So why am I not seeing this happening? Rebreather Forum 3.0 was over three years ago, but on a recent rebreather trip the only checklists I could see where those that are integrated into the rebreather electronics. These rarely cover all checks so how are diver remembering the steps not covered? Are most people relying on memory? If so, is that enough? 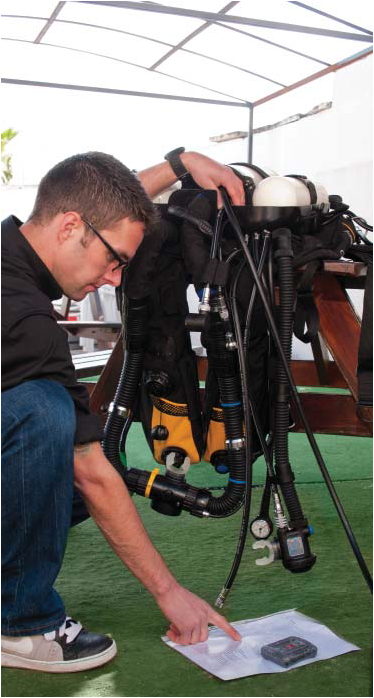 We do it for open circuit, so why not rebreathers? Have divers found other ways to make sure that all their checks are completed? Do you sometimes forget a check? If so, do you go back or does it depend what it was? Are checklists necessary after all? We would like to know what is actually happening in the field, so If you are a rebreather diver we would love to hear what you do. The links below are to surveys that are completely anonymous, so please be as honest as you can be. Check lists are a great way to reduce risks even beyond CCR! Previous PostPrevious Redundancy – When One Tank is not Enough?